The science of Spiritism studies the existence and nature of spirits, which are nothing more than the immortal souls of men, created by God. The philosophy, which was derived from a serious study of information received in communications with discarnate spirits, deals with the details of spirit life and the journey of evolution through the process reincarnation. A natural consequence of that that philosophy is the understanding of the role we play in our own spiritual evolution, which is ultimately achieved through the efforts we make to grow, both morally and intellectually. Spiritism helps us to understand the natural laws that govern that process of evolution. From a moral perspective, we follow the teachings and examples of Jesus Christ, as our model and guide. The religious aspect stems from the moral ties between ourselves, and others, and the direction that Spiritism leads us, toward God, our creator, by helping us to understand life and by teaching us, ultimately, how to develop the ability to love, in the greatest sense of the word. 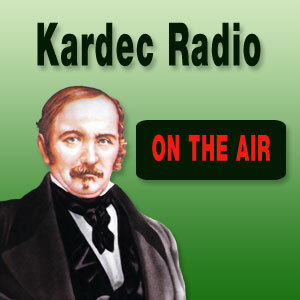 The Spiritism Doctrine organized by Allan Kardec’s work in the nineteenth century brings a new light on Christian’s thoughts. 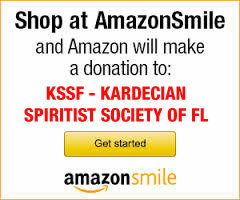 KSSF - Kardecian Spiritist Society of Florida © 2002 - 20014 KSSF is a not-for-profit organization recognized as tax-exempt under Internal Revenue Code Section 501(c)(3).